3) 1 onion thinly sliced, covered in flour and deep fried until well browned (be careful that you do not burn it)–once the onion slices are browned let them cool and then grind them (you can use a mortar and pestle) and add one cup of warm water to the mix, a pinch of ground cloves ,and a pinch of ground coriander. Place a pot on medium heat, add Olive Oil and fry onions with just until it is golden brown. Add potatoes and cook for 1 minute. Add cumin, coriander, pepper and salt to the shrimp and mix well and add to the pot and cook until shrimp turns pink. Add the tomato and tomato paste and cook until the tomatoes have softened. Now, add the rice and pour the deep fried onion mix and add about 1/2 cup of water for the rice to cook. Taste the water, if it is not salty enough add more salt. Leave under low heat until the rice is cooked through. 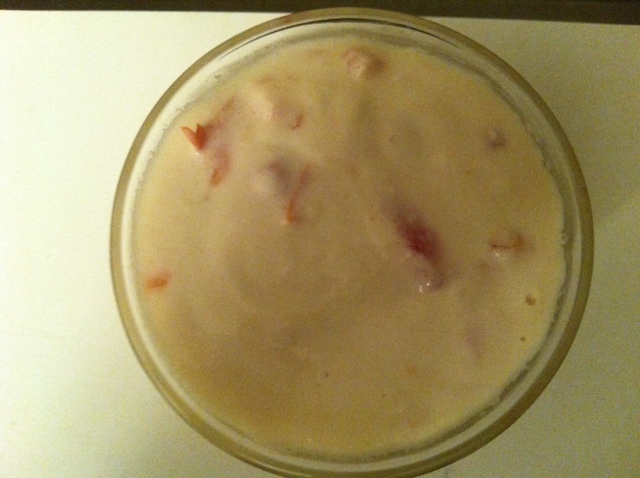 Dice up a small tomato and put in a bowl, add 2 tblsp of tahini paste, with 2 tblsp of yoghurt, 1/4 cup of water, 1/4 cup of white vinegar, salt to taste. Mix well and enjoy with this dish. I thought shrimp were haraam? Never heard before that Shrimp is haram to eat Basboosa! Did the person who told you that provide you with evidence from the Qur’an and Sunnah? If so please share. Emailed a Sheikh about it and will let you know as soon as I get a response. We eat it in Yemen which is a pretty strict Islamic society, and I know it is eaten it many other Muslim countries in the Middle East and North Africa. Thanks for going to all that trouble. I thought this because I once read an article about dietary laws and their origin- which was apparently Leviticus (Old Testament – which as you know is common to Islam, Judaism, and Christianity) – and in Leviticus creatures that live in water must be free swimming to be “clean”. I never saw anyone in Yemen eat shrimp but I really was never on the coast much. Egyptians in Alexandria eat lots of shrimp though. What part of Yemen are you from? Good question. Me too never heard that shrimps are Haram, but it is good to know the believes of different madhaheb. jazaak allaah alf kheir Dr. Lamya for this information. 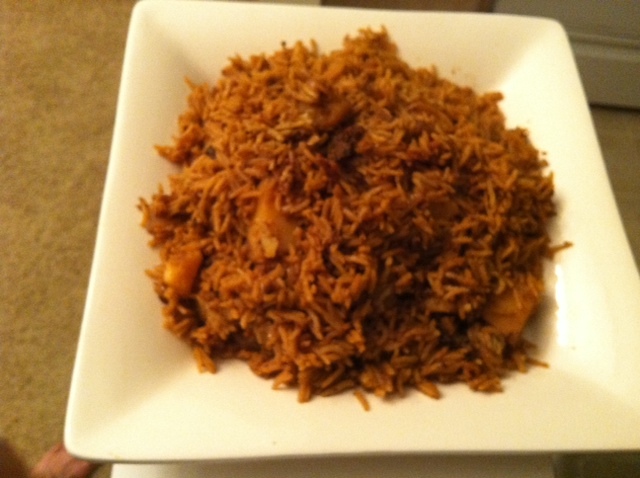 Salam…Question- when pouring the onion mix on top of the rice should it be stirred in with the rice?